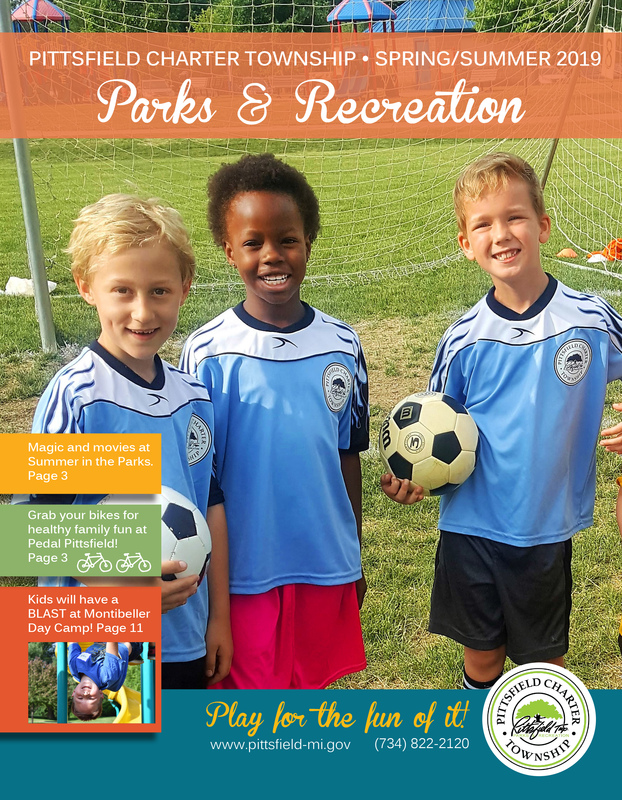 Connect with nature at your Pittsfield Township Parks! Pittsfield Township is home to 17 parks covering 1,017 acres of beautifully maintained parks and preserved spaces with an abundance of opportunities to explore wildlife and connect with nature. Look for turtles in Duck Potato Pond at Lillie Park, or red winged blackbirds at Prairie Park. Pittsfield Parks feature a variety of meadows, wetlands, and wooded areas, with wildflower blooms, butterfly gardens, and a tree nursery. Bike, hike or walk through 120 miles of scenic trails including more than 10 miles of paved, non-motorized greenways. Park highlights include eight playgrounds, eight rentable pavilions, fishing docks, athletic fields, and facilities for disc golf, volleyball, basketball, and tennis. Browse park profiles. Find a Pittsfield Park pavilion that fits your event best! Pavilions can hold between 20 and 120 people and offer a wide range of amenities. Choose a pavilion adjacent to one of our playgrounds for a family-friendly event, or next to the soccer fields for a field day. Great for reunions, birthday parties, family barbecues and corporate picnics. Pavilion rentals may be reserved one year in advance. Reserve a pavilion. Rent an athletic field for your next practice, game or field day. Grass fields are suitable for soccer, ultimate frisbee, rugby, cricket, field hockey, or lacrosse. Ball fields are also available for rental. Rent a field.